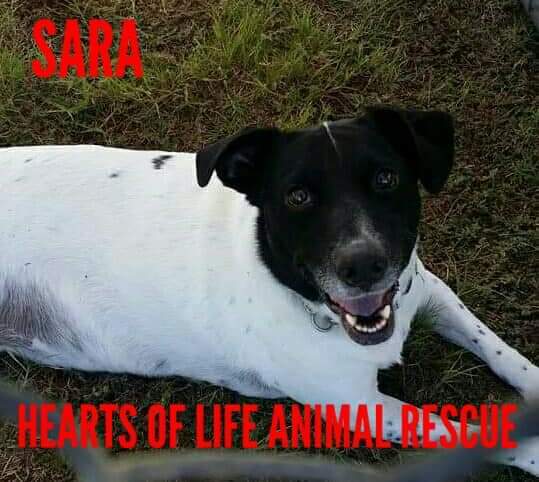 Sara is still searching for her forever home! Sara is approximately 7 years old. She is great with children but she is a little particular with other dogs. She is great on a leash, not too rowdy and loves to prop her nose on anything that’s handy! When she’s excited, she’ll twirl on her hind legs! Her adoption fee is $100.00 which includes all previous vetting, shots, spay and rabies. Please contact Hearts of Life Animal Rescue to meet this sweet girl! Call 903-439-5019, email [email protected], Facebook.com/heartsoflife or find us on Petfinder.com!